Tamaño de esta previsualización: 483 × 600 píxeles. Otras resoluciones: 193 × 240 píxeles · 629 × 781 píxeles. 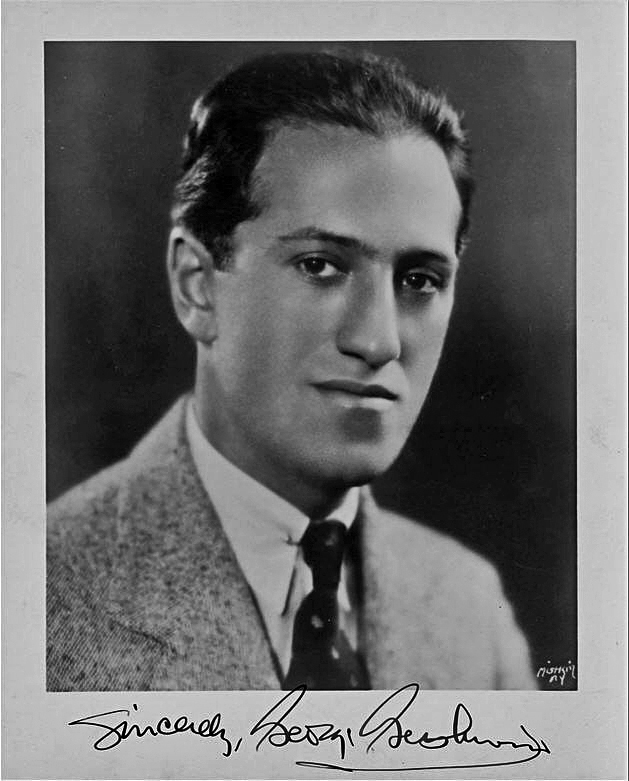 English: Publicity portrait of George Gershwin, with autograph. Face of photo shows all margins and name of photographer in bottom right. No copyright is given.